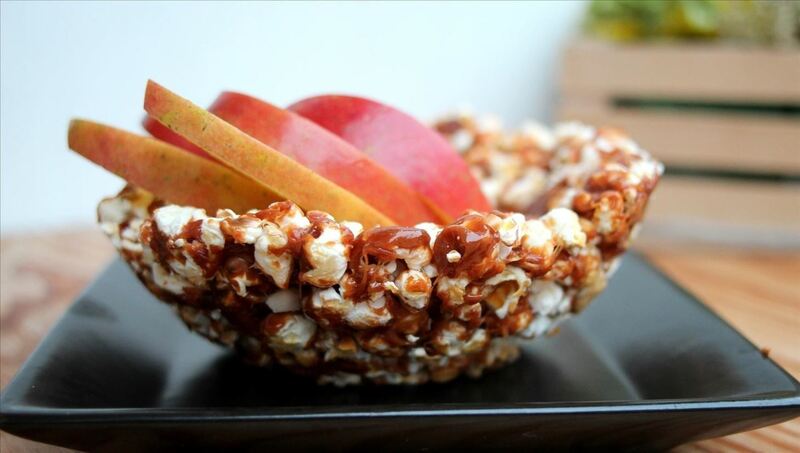 Edible bowls are glorious for plenty of reasons. They create fewer dishes, they're pretty to look at, and, well... you can eat them. There are many different options out there you can choose, like bacon cups, hollowed out apples, and molded hash browns, but these are 6 personal favorites of ours to use as edible food vessels. We do so love our cantaloupe, and we do so love our yogurt in the morning. Put these two together in a mostly-edible bowl, and you have a marriage made in breakfast heaven! Hollow out your cantaloupe (no need to get it perfect), then fill it back it up with yogurt, the chopped melon you just scooped out, and whatever ingredients you desire (granola, blueberries, and a drizzle of honey are a great combination). And you can compost your bowl when you're done rather than washing it. 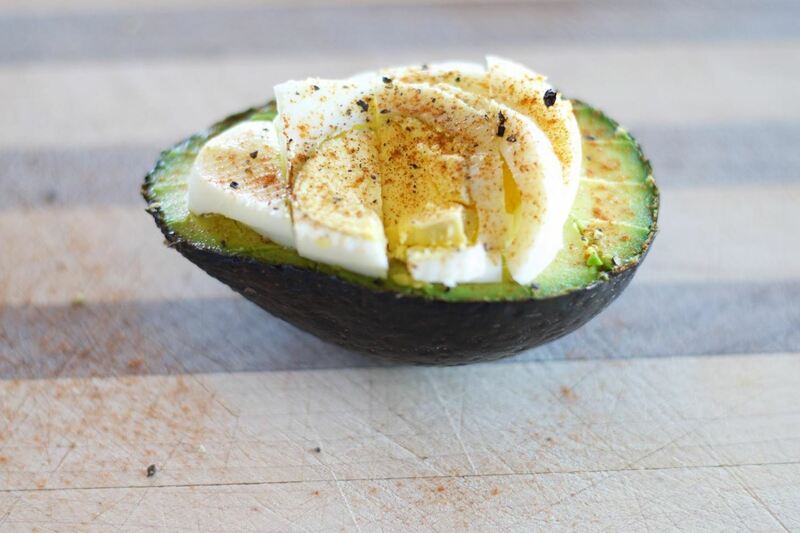 When we're in a hurry, we often reach for half an avocado to fill our bellies. One morning, with a few hard-boiled eggs in the fridge and a craving for a little extra protein, we got the idea to place a sliced egg in the center of our favorite creamy, green-hued fruit. A sprinkle of cayenne pepper (or paprika), some salt and pepper, and we now have a whole breakfast we can carry around in the palm of our hand. Fellow Food Hacks Daily writer Naomi touches on six epically edible bowls in her comprehensive article. 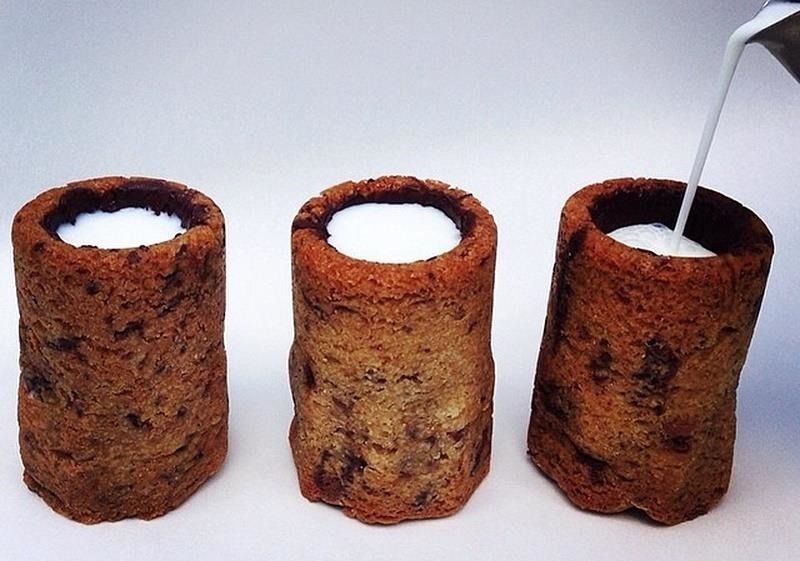 Our personal favorite may be the cookie shot glass. A chewy chocolate chip cookie and an icy glass of milk are great, but if you can eat the vessel in which the milk travels that is even better. See the how-to for more details. Naomi's at it again with the caramel popcorn bowl. All you need is an actual bowl, some popcorn, and melted caramel to make this drool-worthy, perfect-for-movie-watching treat. Naomi places sliced apples inside of hers once finished, though we may opt for a less healthy option, like peanut M&M's. Kind of like making your own jazzed-up Cracker Jack with an edible box! Food Hacks Daily writer Wendy covers eight simple but edible bowls, with some savory options among them. We have a few savory favorites, but the ever-so-creative lasagna bowl is definitely one of them. 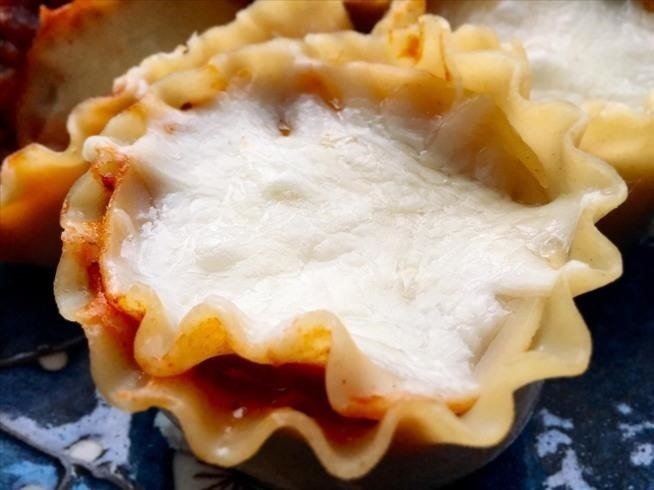 She uses actual lasagna noodles to make her cups (as opposed to wonton wrappers) and the end result looks divine. We'd also like to highlight the zucchini bowl that Wendy shared. 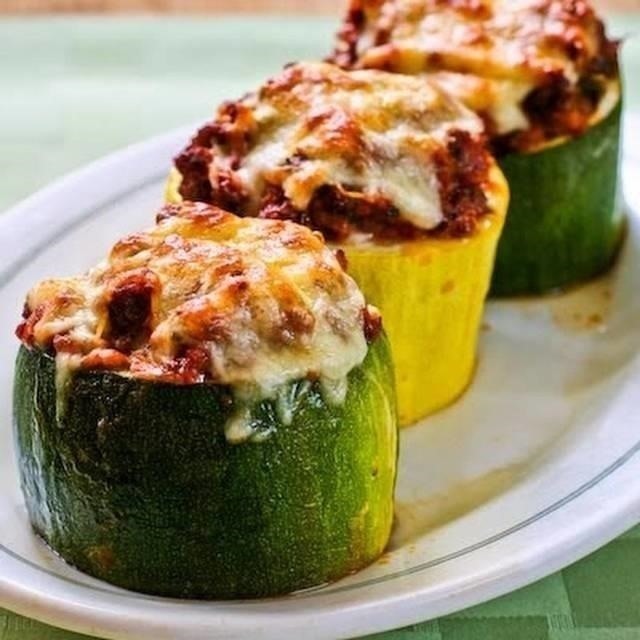 A mix of meat, tomato, and mozzarella is used by Kayln's Kitchen to stuff her own zucchini bowls. We think the zucchini vessel makes for the perfect party finger-food. Just grab a glass of rosé and get your mingle on. 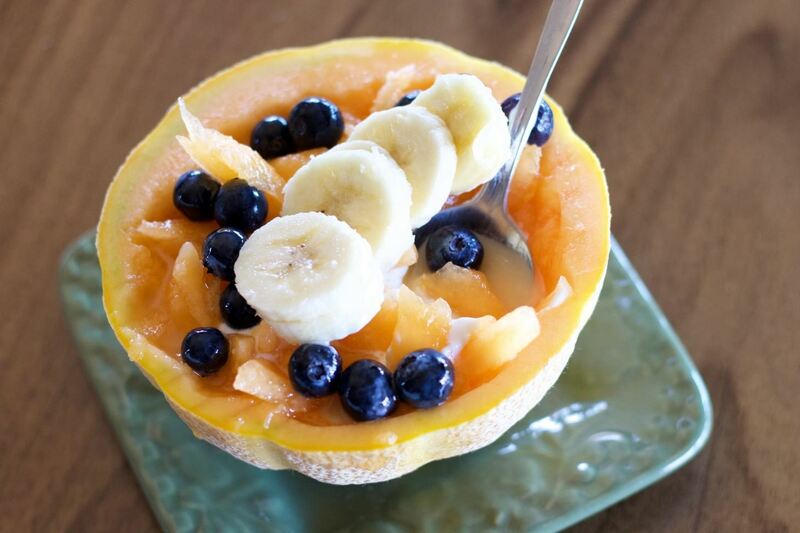 Whether it's sweet or savory, breakfast or dinner, these edible bowls should have you covered. Dishes will be fewer. Your food will look beautiful. And your growling tummy will thank you. Have any favorite ways to eat your bowls? Let us know in the comments below!